Pycnogenol is derived from the extract that is obtained from the bark of the French Maritime Pine which is grown only along the coast of France. Pycnogenol is one of the best researched natural substances, having been the subject of over 50 scientific studies in just the last 10 years. More and more evidence is amassing to suggest that pycnogenol may be a useful agent in the treatment of a wide range of conditions including thrombosis (potentially dangerous internal blood clots), infertility and dementia. The studies also show that pycnogenol is very effective in binding with the collagen and other tissues of the body to increase the elasticity of the skin and other connective tissues of the body. 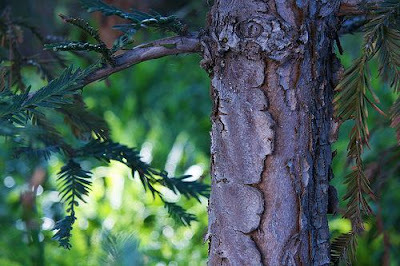 Extracts from the bark of the pine tree were first used by the native American Indians hundreds of years ago. Traditionally, pine bark was used as an emergency food, and to speed wound healing and dampen inflammation. It is only more recently that pine bark has been shown to have such far-reaching medicinal effects. Pycnogenol’s versatility may well be related to the fact that it is not a single entity, but actually a mixture of about 40 different substances including compounds known as procyanidins and bioflavonoids. In a study that was done of fruit flies, the results showed that Pycnogenol delayed the aging process and the demise of the fruit flies. Therefore it was felt that Pycnogenol would be beneficial in helping to defray the ravages of aging in the human body. Other studies that were done in accordance with aging showed that this product helped to improve memory and cognition in those who took it regularly. Pycnogenol also has been shown to help to keep the skin smoother and younger looking for longer periods of time. This supplement has helped protect the skin from UV rays and their aging abilities as well. It has been noted that it helps to improve dark spots on the skin. In improving the general circulation of the body, the skin benefits by allowing waste products to be removed from the skin and new nutrients provided as needed. In women’s health, Pycnogenol has been shown to help to reduce the risk of heart disease as well as reduce the occlusion of the arteries and the risk of coronary artery disease. This supplement also has been shown to help in reducing the amount of swelling in the lower extremities in women as well as reducing the risk of stroke and TIA’s (Transient Ischemic Attack) in women. Pycnogenol has been shown to help reduce the effects of dysmenorrhea as far as the severity of cramps and painful periods during the menstrual cycle. Pycnogenol is known to have antioxidant activity. Antioxidants combat molecules called ‘free radicals’ which have been implicated in the processes which trigger many chronic conditions including heart disease, cancer and Alzheimer’s disease. By helping to quench free radical damage, pycnogenol might help reduce the risk of many serious illnesses. Interestingly, research has shown that pycnogenol offers many times the free radical dampening potential of better known antioxidants such as vitamins C and E. In theory at least, this powerful antioxidant action gives pycnogenol great potential as a disease fighter. Another of pycnogenol’s actions in the body is to reduce the tendency of internal blood clots to form. Research published last year in the medical journal Integrative Medicine shows that pycnogenol reduces the tendency for platelets to stick together. This blood-thinning action gives pycnogenol the potential to help protect against heart attack, stroke and DVT. Another specific condition for which pycnogenol is showing some promise is Alzheimer’s disease. In this condition, the brain is affected by a protein known as beta-amyloid. Beta-amyloid protein can interfere with the blood supply to the brain and may also cause death of brain cells in the long term. A study published this year from the Loma Linda University in California showed that pycnogenol helps to protect cells from the damaging effects of beta-amyloid protein. Other research published last year in the journal Anti-Aging medicine found that feeding mice with pycnogenol markedly improved their memory and learning ability compared to non-treated mice. While its effects on the human brain have yet to be tested, there is reason to believe that pycnogenol might offer benefits in the prevention and treatment of dementia. Pycnogenol is also beneficial to those who suffer from arthritis and other problems which are due to inflammation. It has powerful anti-inflammatory properties. The supplement works to reduce inflammation in the organs and tissues of the body. It can reduce inflammation and pain as well through this process. This supplement has also been shown to be beneficial to those who suffer from chronic respiratory illness such as chronic bronchitis, asthma and other disease that is caused by inflammation of the lungs or airways. Pycnogenol is responsible for reducing inflammation from the lungs and other air passages which makes it much easier for someone to breathe and also for them to heal from their illness. OTHER DISORDERS PYCNOGENOL HELPS : ADHD, varicose veins, skin ulcers, diabetes, osteoarthritis, hypertension, menopause and eye health. Very nice post. I really enjoy the reading. I come here from the google while searching for some good article. Its really thougthful topic blog post about Anti Aging Supplement ,great info and helpful advice for the all readers. It's amazing!!! I have used Anti-aged skin care supplements. The results are fabulous. I got fresh, healthy, flewless skin within two weeks. Now no need of painful injections or surgery for treatment of wrinkles. I would like to share more products related to Anti-aging supplements. Thanks for posting this post. It is really useful blog. Have you listen Liftderma? This is anti-aging supplement which removes your wrinkles and make you younger as longer. Dr. Sirisha Singh provides you best Anti aging treatment in Delhi with helpful consultation for your glowing, clearer, fairer skin. all these systems lose the synchronization due to lack of stamina and energy in the body. Several disorders crops in both internally and externally as you get old.